ML identifies LED material; protecting batteries with nanotubes; saving energy on cooling. Researchers at the University of Houston created a machine learning algorithm that can predict a material’s properties to help find better host material candidates for LED lighting. One recommendation was synthesized and tested. The technique, a support vector machine regression model, was efficient enough to run on a personal computer. It scanned a list of 118,287 possible inorganic phosphor compounds from the Pearson’s Crystal Structure Database for key attributes, including Debye temperature (a metric correlated with efficiency) and chemical compatibility. After first narrowing the list to just over 2,000, the algorithm shortly produced a list of about two dozen promising materials. Without machine learning, the researchers said, this process would have taken weeks. The team agreed that one of the recommended materials, sodium-barium-borate (NaBaB9O15), was a good candidate. After synthesizing the compound, they found it was thermally stable, with a quantum yield or efficiency of 95%. Unfortunately, the light it produced was too blue to be commercially desirable, although it may have applications such as UV-excited laser lighting. Beyond more efficient LEDs, the team says their study shows the value of using machine learning to speed the discovery of new materials. Researchers from Rice University and University of Texas Houston Medical School propose a new way to keep dendrites from forming in lithium-metal batteries. While lithium-metal batteries can both hold much more energy and charge faster than traditional lithium-ion batteries, they are prone to the formation of metal filaments called dendrites that can cause short circuits, failures, and fires. Limiting the charging speed is one way to slow dendrite growth, but one the researchers rejected. Instead, they turned to a thin coating that turns out to be both effective and inexpensive. When the battery is in use, the film discharges stored ions and the underlying lithium anode refills it, maintaining the film’s ability to stop dendrite growth. In tests, the nanotube film suppressed dendrite growth over 580 charge/discharge cycles of a test battery with a sulfurized-carbon cathode. Plus, the film didn’t hinder performance, with the battery retaining 99.8% of its coulombic efficiency. 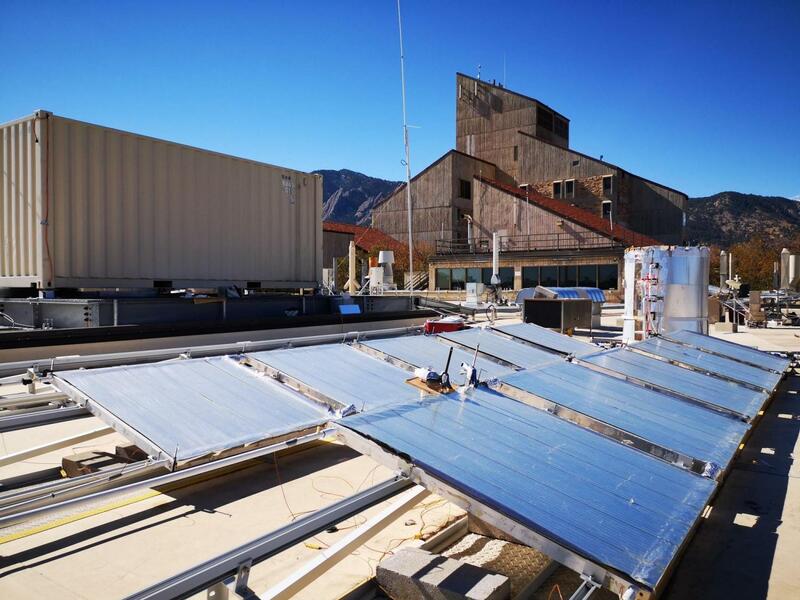 Engineers at the University of Colorado Boulder and University of Wyoming demonstrated a large-scale radiative cooling system that could replace energy-intensive air conditioning for buildings and improve power plant efficiency. The team’s efforts rely on a low-cost hybrid organic-inorganic radiative cooling metamaterial that reflects incoming almost all sunlight while still allowing an object’s stored heat to escape as much as possible, keeping it cooler than ambient air even in the midday sun. The material, a glass-polymer hybrid material, can be produced using roll-to-roll manufacturing techniques. The system, which the researchers call RadiCold, used 13.5m2 arrays and was tested outdoors in a variety of weather conditions, including wind, precipitation and humidity. In experiments conducted in August and September 2017, the module kept a container of water covered by the metamaterial 20 degrees Fahrenheit cooler than the ambient air between 12:30 p.m. and 3 p.m., the most intense summer sunlight of the day. “We can now apply these materials on building roof tops, and even build large-scale water cooling systems like this one with significant advantages over the conventional air conditioning systems, which require high amounts of electricity to function,” said Gang Tan, an associate professor at the University of Wyoming. “You could place these panels on the roof of a single-family home and satisfy its cooling requirements,” added Dongliang Zhao, a postdoctoral researcher at CU Boulder. The team also proposed a building-integrated system where a cold storage unit could be added to capture cooling that happens with demand is low or nonexistent, such as at night, and allow it to be retrieved during the subsequent day to reduce the cooling strain during peak demand periods.